2014-15: Project: Globalization and Religious Diversity. 2012: Lectures in Cypriot schools and abroad aiming at promoting Intercultural Education. Project: Cyprus Presidency of European Union and Intercultural Education. 2012-13: Project: Learning with "others". Teaching Religious Culture at European schools. - Training for parents in Strovolos district regarding Multicultural Education. - Lectures and Seminars in Secondary and High Schools regarding Intercultural Education in Cyprus. Participation in the project "Dressed for FAITH", Cross-Border Cooperation within the European Neighbourhood and Partnership Instrument (ENPI). June 2010: "Let us know Istanbul and its Young Leaders! An Intercultural Summer School with Students from Cyprus and Turkey". 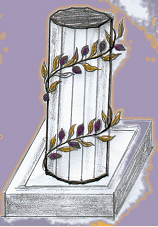 A project organized by the Institute of Historical Research for Peace in collaboration with the: Department of Classical Studies and Philosophy (University of Cyprus), Zografyon Greek Lyceum , Global Political Trends Center (GPoT) Istanbul Cultural University, Yildiz Technical University, Rotary Club Istanbul and University of Bogazici (Turkey). July 2009: "Let us get to know Cyprus! An Intercultural Bi-communal Excursion with Participation of Students with Cultural Linguistic Difference in Hearing". A project funded by the Youth Organization (ONEK) Cyprus. Institute of Historical Research for Peace in collaboration with: University of Oslo and Briskeby school (Norway), University of Thessaloniki (Greece) and Justus Liebig University, Giessen (Germany). February-November 2009: "Experiencing Values of Multicultural Exchanges with Students with Cultural Linguistic Difference in Hearing" in the frame of the so-called "School for all". Institute of Historical Research for Peace in collaboration with: University of Oslo and Briskeby school (Norway), University of Thessaloniki (Greece) and Justus Liebig University, Giessen (Germany). A project funded by the "Education and Culture DG: (Youth in Action) Programme, Action 4.3 - Training and Networking". January-November 2008: "My Culture-Your Culture. An Inter-cultural Dialogue Opportunity." Institute of Historical Research for Peace in collaboration with: Palestinian youth Forum for Cooperation (PYFC), The Young Israeli Forum for Cooperation and the University of Cambridge. A project funded by the "Education and Culture: Youth Programme Action 3, Youth for Europe" and the Ministry of Education and Culture of Cyprus Government. July 2008: Let us get to know each other! An Intercultural Bi-communal Excursion. A project funded by the Youth Organization (ONEK) Cyprus. Institute of Historical Research for Peace in collaboration with: Palestinian youth Forum for Cooperation (PYFC), The Young Israeli Forum for Cooperation and the University of Cambridge. October 2006 - June 2008: Research regarding Multicultural Education in Cyprus with special reference to the secondary Education (INISME). Ongoing project. 2002-2006: Interreligious Relations between Muslims and Christians in Cyprus with special reference to the Documents of Kykkos Holy Monastery (16th-21th cent.). March-November 2005: "Living with the 'Other' - Problems and Prospects" Institute of Historical Research for Peace in collaboration with: KAYAD (Turkish-Cypriot NGO), Association for Progressive Education in Honor of Meir Yaari, Israel and BiFV (Bildung für Frieden und Verständigung), Germany. Sponsor: Youth programme Action 1 (Education and Culture), Youth for Europe. May 2003: "Non-formal Education for Peace for Youth and NGO Leaders in Cyprus", in collaboration with Yöneticilik Merkezi and Centre for International Collaboration of the Ministry of Foreign Affairs (MASHAV). March 2003: "Multicultural Education for Peace", MASHAV Workshop "Strengthening Civil Society through Non-Governmental Organisations", The Golda Meir Mount Carmel International Training Centre (MCTC), Haifa, Israel. 1998-99: Research in North Greece A survey on the status of Muslim Women living in North Greece. Subject: "Socio-legal Status of Muslim Women". Results announced at the International Congress of the Association of the Studies for South-East Europe (Bucarest 1999).